Lenovo IdeaPad V570 15.6-inch notebook comes with enhanced security features; Lenovo Security Suite, fingerprint reader, and Active Protection System. 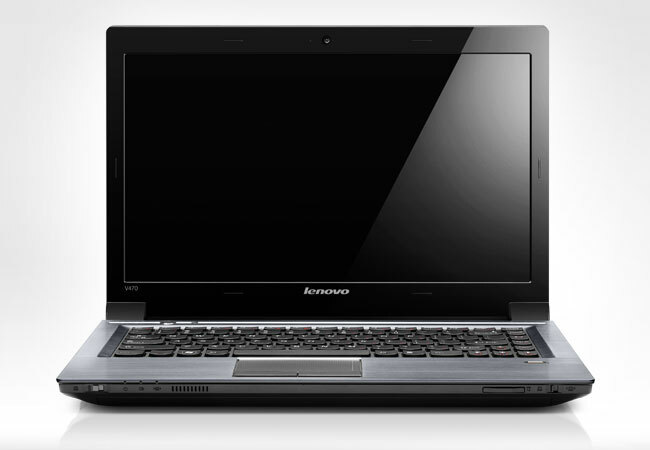 This Lenovo laptop has a choice of Intel Core i5-2540M, i5-2410M, or i3-2310M processor. Lenovo IdeaPad V570 has a 15.6-inch HD display, switchable graphics between NVIDIA GeForce 525M and Intel HD Graphics 300, up to 2GB DDR3 1333MHz memory, 320 GB or 750 GB 5400 rpm HDD, and Tray-in Rambo drive. It's equipped with 6-in-1 card reader, three USB 2.0 ports, one USB eSATA Combo port, RJ-45, VGA, HDMI, integrated 2.0 MP HD camera, and six-cell battery. RapidBoot technology, ensures your PC can start up to 20 seconds faster than a typical Windows® 7 computer.